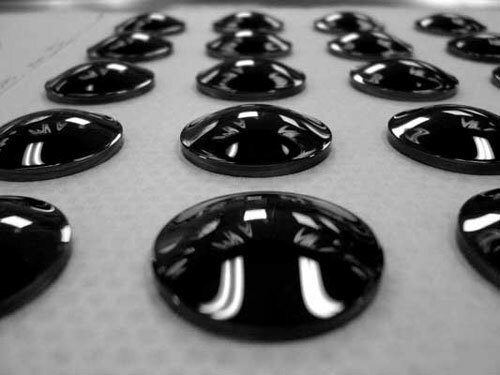 GENVAC has extensive expertise in the deposition and optimization of Diamond Like Carbon (DLC) coatings by various techniques tailored for high value applications ranging from precision infrared optical filters to high-hardness/lubricity coatings for wear resistance on semiconductor, metal, glass and ceramic surfaces. For almost two decades our company has produced and shipped products that meet all optical, wear resistant requirements and military specifications for optical systems installed on military aircraft including the F-14, F-16, F-18, F-22, F-35 and Apache Helicopter. Since 2014 GENVAC has been developing DLC coatings for wear resistance and lubricity on a variety of metals for cutting tools, food processing, injection molding and a novel line of stainless steel guitar picks. Contact GENVAC for DLC solutions to metal wear issues.